For the youth of today, it is all about experiences. Traditional marketing routes and channels simply do not have the desired effect on this generation, they have almost become immune to it. Brands wanting to capture this lucrative market need to capitalise on experiences and key moments in their lives to truly engage and connect with them. To keep up with this ever changing demographic brands need to think outside the box and find new and creative ways to market to youth. Festivals, in particular, offer a unique opportunity to connect with them. They are growing in popularity across all generations, but have always been and always will be popular with youth. A whopping 30.9 million people attend festivals and gigs every year in the UK, of which The UK Festival Report revealed that 57.4% of attendees were aged 16-34. So for any brand wanting to target the youth audience, festivals are a key event to capture the audience on mass. Attending a festival is an exciting time and something youths will always remember, brands have a chance to be a part of this experience. Of course you have the standard sponsorship or onsite stall, however, due to high demand, brands will have to dig deep to secure these options. There are, however, other ways to be part of the experience and enhance the festival experience. 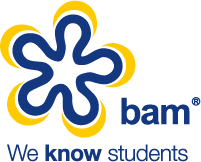 At BAM we are always on the lookout for new and exciting opportunities for our brands and we are very excited about a brand new opportunity we have available. Brands need to think about how to make this part of their festival experience better and more enjoyable. Think sweet treats, energy drinks, hangover cures, earphones, refreshments, breath freshener, wet wipes. These are just some ideas of freebies that these passengers would be delighted to receive. For a brand to provide something of value to them, they will immediately create a positive relationship with youth by improving their journey and creating a memorable moment of their experience. As direct result brands can expect to leave a lasting impression on this audience, connecting with them at a time when they are open and grateful to receive this form of marketing. If you think you have an awesome addition to the goody bags that will enhance the festival experience and want to find out more about taking advantage of this unique opportunity, please get in touch with the team at BAM today.